MainOpEdsTantawi defies Muslim Brotherhood: "Egypt is for All"
Tantawi defies Muslim Brotherhood: "Egypt is for All"
Tantawi defies Muslim Brotherhood declaring: Egypt is for all, not just one group. 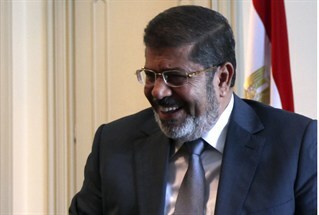 The United States prefers Morsi. The military’s intervention in the days after polls closed in Egypt’s presidential election gave the country a reprieve from the looming threat of civil war which a Shafiq win was bound to spark. There were credible reports that Gaza and Libya terrorists smuggled weapons (rockets and missiles) into Suez and Marsa-Matorah and were poised for the signal from the Muslim Brotherhood (MB) once an announcement was made in favor of their opponent, military presidential candidate, Mr. Shafiq. In this instance, the military - corrupt, untrustworthy and well known for its brutality towards freedom fighters in the course of the January 2011 uprising, did the country a great favor. This Supreme Council of the Armed Forces (SCAF) implemented martial law (on June 13) in response to many serious reports including threats from the MB to set fire to the country if their candidate lost the election. SCAF confirmed the Supreme Constitutional Court’s ruling invalidating the newly-elected Egyptian Parliament and dissolved the Parliament in obedience to the law (on June 14), honoring the high court and its ruling stating that the MB-majority Parliament was elected unfairly (a verdict issued two days prior to the presidential elections in a case brought by human rights attorneys). This alone served to challenge absolute control by the MB and limit the degree to which Islamic religious law will eventually influence the country’s law. Then the SCAF issued a constitutional declaration to prolong military rule (on June 17), in order to be ready for any potential disruption which could ensue as a reaction from the MB militants. The SCAF had one more option, which it did not take -- to annul Egypt’s presidential and parliamentary elections in view of comprehensive fraud where fake ballots, running boys, threats and bribes were discovered, along with closed voting polls in Coptic communities. Egypt’s hope for democracy is utterly sunk by the rise of Mr. Morsi and his backers. Pro-democracy liberals of Egypt have no choice but to view the military as a lesser-evil. The SCAF, the interim protectors of Egyptian law, turned a blind eye to both the parliamentary and presidential elections where fraud was committed by all parties. In doing so, the military overlooked corrupt elections instead of acting -- disgraceful in the face of Egypt’s nascent democracy and its first shot at a real presidential election (as opposed to referendums) in 60 years. However, no one expected anything more from a transitional government attached to the discarded Mubarak regime and making backroom deals with MB leaders, especially when bogus elections have been the norm throughout the history of Egypt’s three dictatorships. Egyptian freedom fighters are more likely to be relieved than displeased with the bold moves made in the eleventh hour to usurp executive powers from the Muslim Brotherhood, contrary to a recent analysis by one of Egypt’s pro-democracy liberals. In a disturbingly misleading explanation (Washington Times, Egypt’s Real Ruler: Military Leader Tantawi, Cynthia Farahut, July 10) contemptuous of SCAF maneuvers before and after the election to salvage the country from Mr. Morsi’s victory, this writer demonizes the military for obstructing the rise of the Muslim Brotherhood. The country’s distrust of the SCAF is warranted, but viewing the military as the real problem in this crisis, in light of the ascent of Mr. Morsi, is to defy reason. Any degree to which the newly-elected Muslim Brotherhood president’s authority is curtailed offers the potential of limiting the damage Mr. Morsi will surely inflict upon Egypt’s true democratic leanings. Disbanding the parliament prevents a dangerous condition and thwarts both the legislative and the executive branches from working together to create an Islamic religious state. Mr. Morsi reconvened the Parliament in breach of the court-ordered dissolution of it, claiming to rescue the “well-deserved achievements and gains” (Ikhwanweb.com, July 8). Who gains? -- Surely not pro-democracy freedom fighters. Morsi’s recognizing the outlawed Parliament is deemed an illegal action by the high court of the land. Will this lead to legal grounds for his removal and incarceration for at least six years as the Egyptian Penalty Law #123 calls for? Not if the U.S. continues to lean toward Muslim Brotherhood rule of Egypt and Mr. Morsi. Egypt’s pro-democracy liberals cannot depend upon the leaders of the free world. Egypt’s hope for democracy is utterly sunk by the rise of Mr. Morsi and his backers. Pro-democracy liberals of Egypt have no choice but to view the military as a lesser-evil and the current chaotic internal struggle as favorable -- absurd as that may seem. Would the liberal youth movement prefer to see Mr. Morsi given full expression and unmitigated powers to implement a Sharia government as implied by the article previously mentioned? He will use the reconvened parliament and the new constitution they will write to do so – a dreadful prospect. With the worst imaginable outcome for the civil state and a clear defeat of the popular will in these first important elections after the removal of Mubarak, Egypt’s freedom advocates certainly have a right to be angry on all accounts and to lean toward exploding once again. If the dissolution of a Muslim Brotherhood-majority parliament (which holds 77% of total seats, including Salafi) by the SCAF constitutes a military coup, as some have stated, it is welcome in the face of the inevitable alternative – a “democracy” where strictly-followed teachings of the Quran dominate public life. A recent Pew study shows that 66% of Egyptians in 2012 think that Islam already plays a major role in public life as opposed to 47% in 2010 under Mubarak. The Muslim Brotherhood is a worldwide terrorist organization banned in Egypt for many years. They cleverly rode the wave of the youth uprising and with their powerful voice, heard by a huge population of sympathizers (from years of MB propaganda and charity to the poor),converted the force for true democracy into empty words and rhetoric. Now they lead the state of Egypt, and the West has been playing their game, according to some sources from the Egyptian press. While Egypt and the world awaited the Presidential Election Commission to announce the results in a much delayed press conference, the Arabic press recorded the consensus inside the country. Many Egyptians believe that the U.S. administration threatened the SCAF in some way, perhaps militarily, forcing their candidate to bow out of the race and make Mr. Morsi the winner in spite of Mr. Shafiq getting the most votes. This may explain pro-democracy activists shunning Mrs. Clinton’s congratulatory comments for Mr. Morsi following the presidential announcement and their disinterest in her pending visit to Egypt. Some thought SCAF denied Mr. Shafiq his legitimate victory to spare the outbreak of war within Egypt based on missile sightings throughout the country linked to the MB and their foreign allies. Yet U.S. leaders embrace Egypt’s new leadership, inviting Mr. Morsi for an upcoming visit to the White House. The American taxpayer will continue to support a regime in Egypt fully intent on implementing an uncivil backward system and obliterating religious freedom for a significant portion of Egypt’s population.